Welcome to Etwelle Garage in Epsom. We are a local family run garage offering unbeatable pricing and quality workmanship to main dealer standards. We have been serving the Epsom, Ewell, Sutton, Banstead and the surrounding areas for over 20 years. We have 3 fully qualified mechanics who perform work to the highest standards to make sure your vehicle is running smoothly, as well as excellent customer service, so you can have peace of mind your vehicle is in good hands with us. We will always try and give you the cheapest price and fit the best quality parts. Fantastic all round experience, could not rate higher.. Very helpful and professional . Recommended. Did an extra required job in addition to the proposed initial work. Great customer service, always quick to pick up the phone and answer any questions I had. The job was done at a great price and to a good standard in great time. Will definitely use them again. pleasure to help many thanks. Not only are these parts essential to the safety of your driving if they start to fail not only can they impair the car’s performance but they may lead to you failing your MOT. An underperforming exhaust system can result in reduced efficiency and can lead to other problems for your car. Come in for a check – we can test, repair or replace car exhausts. Whether your gearbox needs, maintenance, repair or replacement – it’s important that they are in good working order, for safety and performance. Dropping off and collecting your car is not always convenient. Contact us to find out if we can pick your car up to repair it – or drop it off afterwards. Your clutch enables you to connect and control the power of the engine to your gearbox – and then to create motion. It’s essential that it is working correctly and that wear is monitored. Your car being in the workshop need not mean you’re without a car. We have courtesy cars available for you to use while your vehicle is with us. If your wheels are not aligned correctly you may experience: uneven or rapid tyre wear, drifting away from a straight line or a steering wheel that is not at the 12 o’clock position when driving straight. 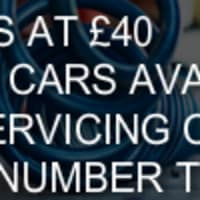 Looking for a garage in Epsom, Surrey?